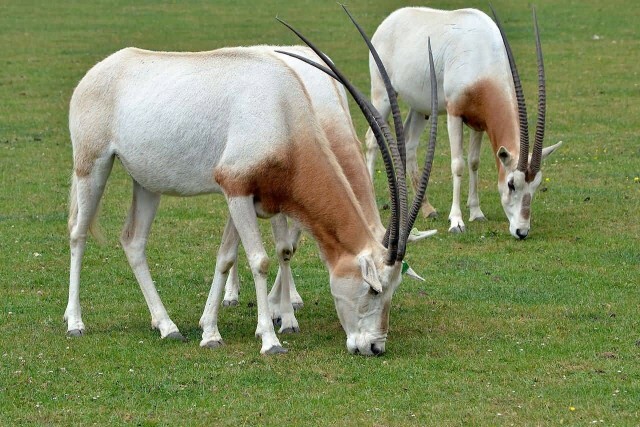 The addax also known as the white antelope and the screwhorn antelope. These are lives in the Sahara desert. 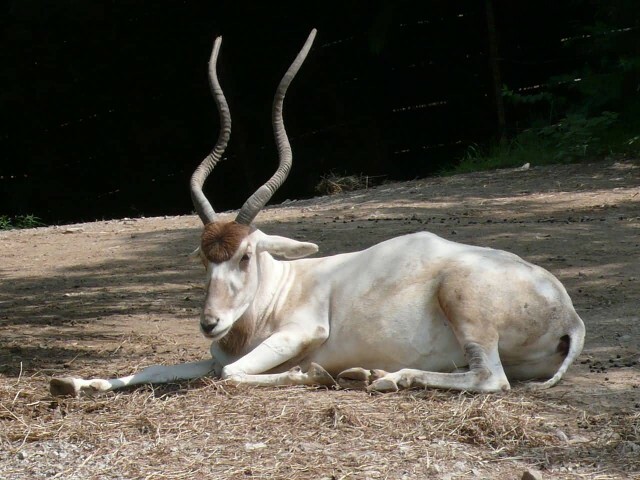 The addax has a long and twisted horns typically 55 to 80 cm in females and 70 to 85 cm in males. The horns which are found on both males and females, have two to three twists. The lower and mid portions of the horns are marked with a series of 30 to 35 ring-shaped ridges. 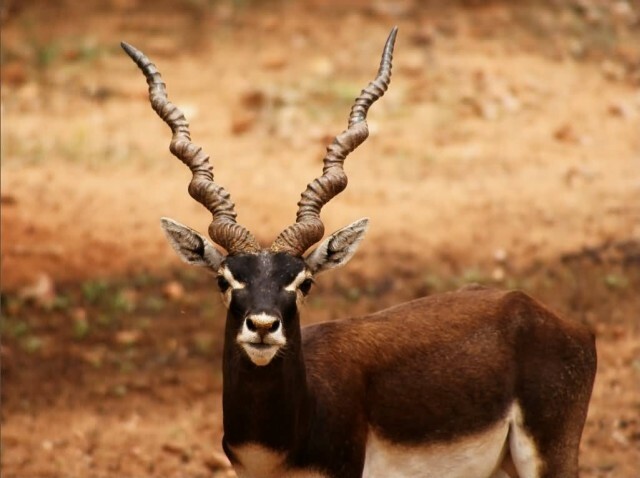 The blackbuck is native to the Indian subcontinent. 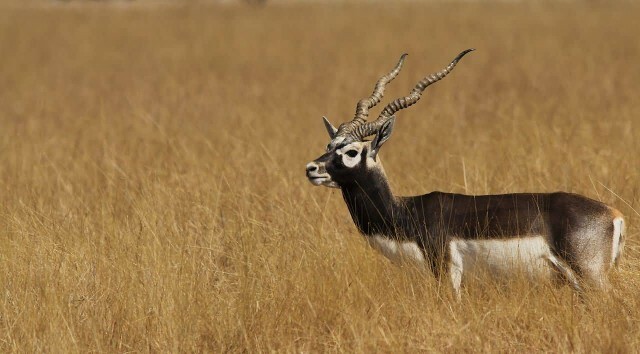 The blackbuck is the only living species of the genus Antilope. Only males have a horns. These horns are diverging, cylindrical, spiral and ringed throughout. The rings are closer together near the skull. The turns of the spiral vary from less than 3 to 5. Horns are 45.6–68.5 cm long. Blackbucks generally live on open plains and open woodlands in herds of 5 to 50 animals with one dominant male. They are very fast. Speeds of more than 80 km/h. Wolves are the main predators of both fawns and adults. 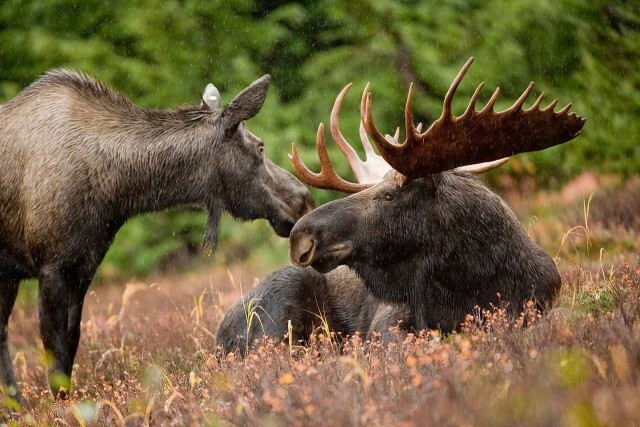 The moose is the largest extant species in the deer family. 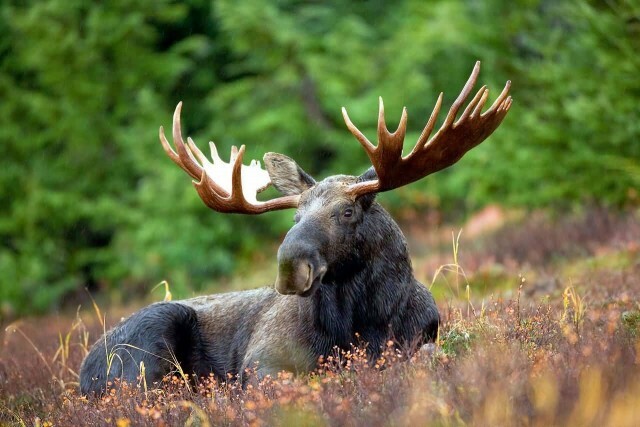 Moose are distinguished by the palmate antlers of the males. The size and growth rate of antlers is determined by diet and age. The male’s antlers grow as cylindrical beams projecting on each side of the head. Moose antlers are broad and flat with points along the outer edge. The antlers are spread greater than 200 cm with the weight around 36 kg. After the mating season males drop their antlers to conserve energy for the winter. A new set of antlers will then regrow in the spring. 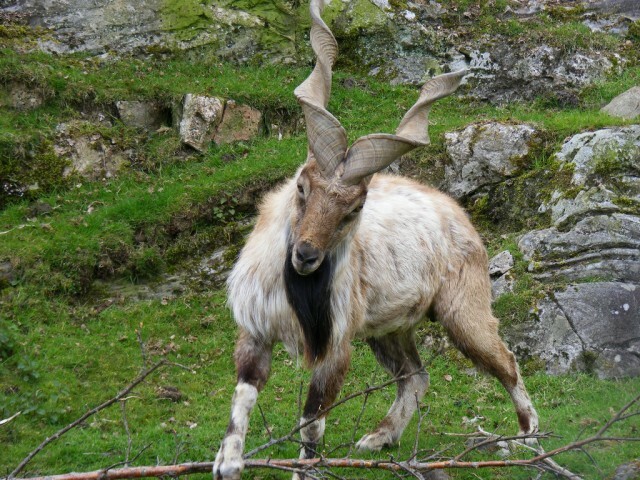 The markhor is a large species of wild goat. It is also known as Shakhawat. 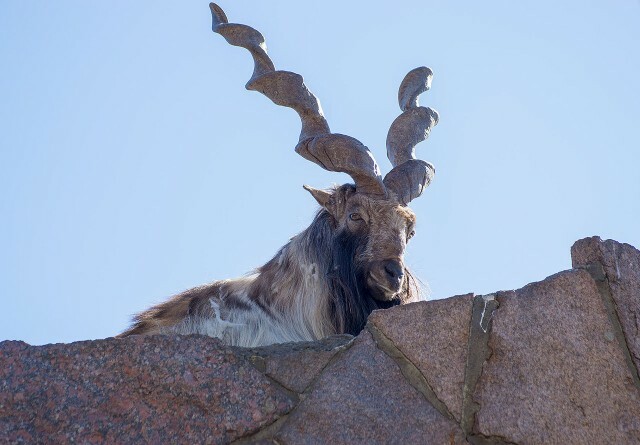 The markhor is thought to have been named using the Persian word for snake, either because of the large coiled horns of the markhor or due to it’s ability to kill snakes. Both male and female markhor have tightly curled, corkscrew-like horns, which close together at the head but spread upwards toward the tips. The horns of males can grow up to 160 cm long and up to 25 cm in females. In India, it is illegal to hunt Markhor but they are hunted illegally for food and for their horns. 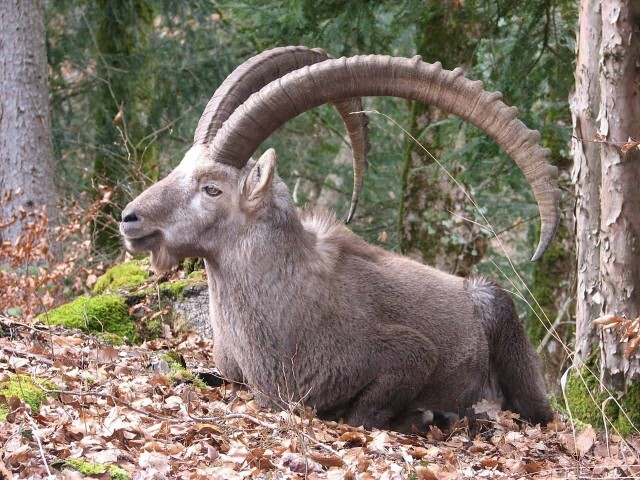 The Alpine ibex also known as the steinbock or bouquetin. 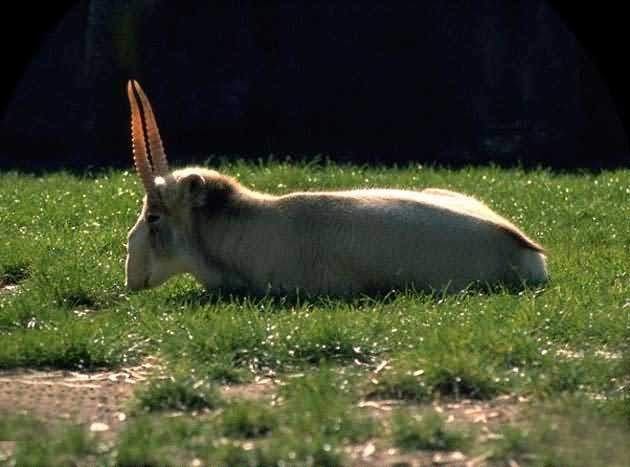 It is a species of wild goat that lives in the mountains of the European Alps. Capra Ibex have huge back-curving horns. 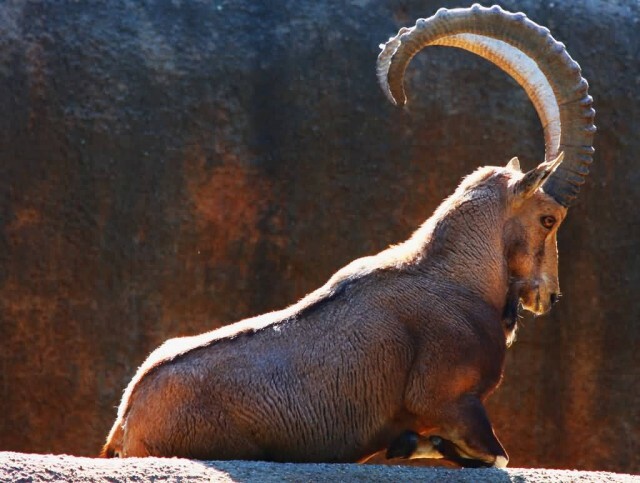 The horns on a male ibex can grow to be 68 to 98 cm in length. Female horns are slightly shorter, thinner and curve slightly more backwards. Horns are used to defend themselves against predators. Also, during the breeding season, males fight for access to females and use their long horns in agonistic behaviours. Caribou has been referred to as reindeer or wild reindeer, specifically in Alaska. 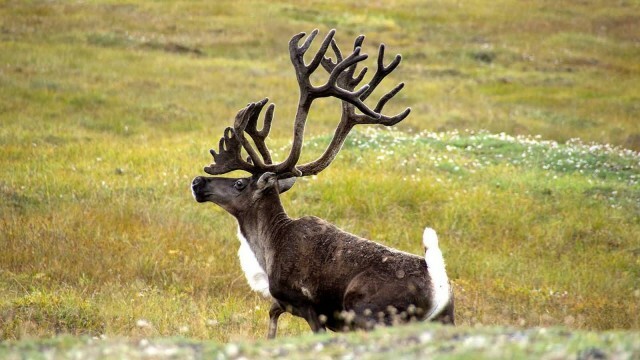 Caribou and reindeer are the same species. They are the only deer whose males and females both have antlers. 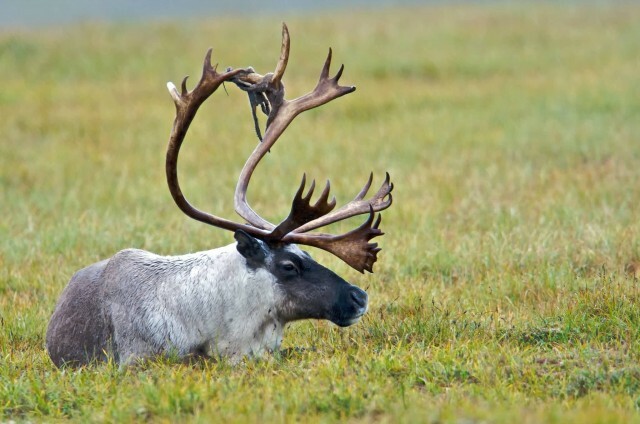 The antlers grow forward and the caribou use them in the winter to dig through snow for food. Antlers of large males can range up to 100 cm in width and 135 cm in beam length. They have the largest antlers relative to body size among living deer species. Saiga is a type of antelope and it can be found in Central Asia and Alaska. The saiga grows 2 ft to 2 ft 7 inch and have weight between 36 and 63 kg. In this species only males have a horns. They are ringed at the bottom and positioned vertically. The horned males are larger than the hornless females. Their lifespans range from 6 to 10 years. 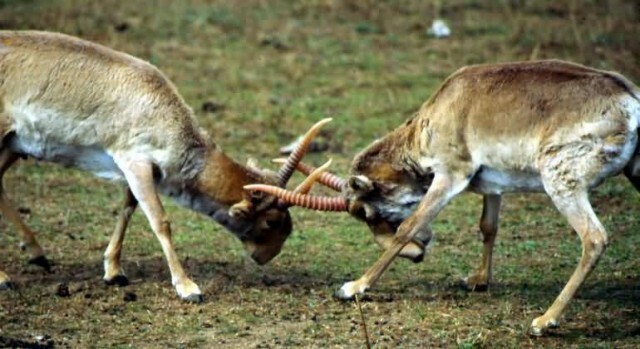 Horns are used for fights during the mating season and the fights are very aggressive. Their population fell drastically following the collapse of the USSR due to uncontrolled hunting and demand for horns in Chinese medicine. The mouflon is a subspecies group of the wild sheep. 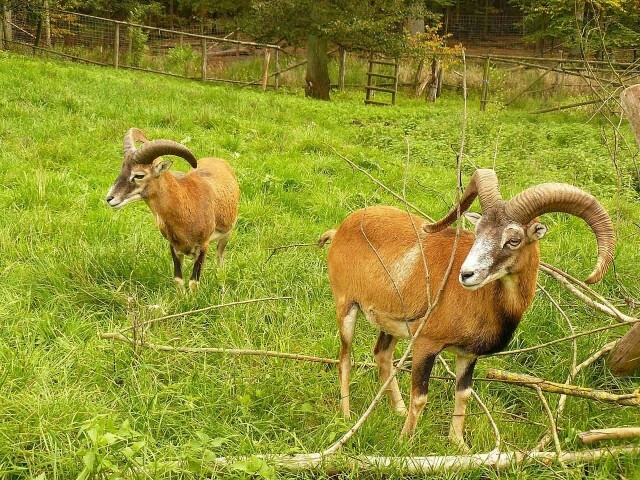 Mouflon have lovely red-brown color and light-colored saddle patches. All males have horns and some females also have horns. The horns of mature rams are curved in almost one full revolution up to 85 cm in lenght. Mouflon inhabit the Caucasus, northern and eastern Iraq and northwestern Iran. The giant eland also known as the Lord Derby eland. 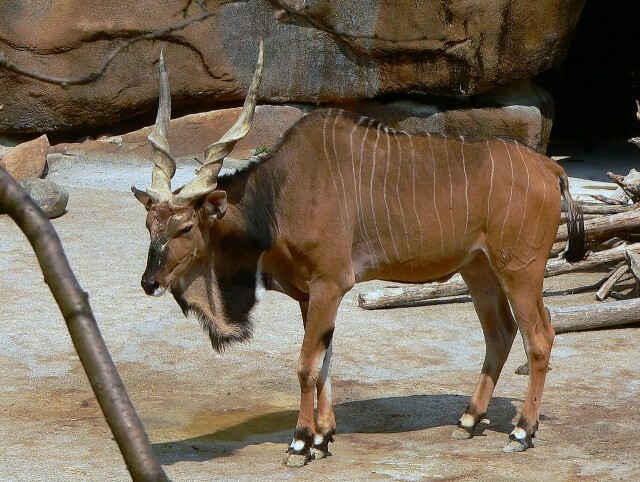 The giant eland is an herbivore, eating grasses, foliage and branches. Both male and female have tightly spiraled, V-shaped horns. They can be up to 123 cm long on males and 66 cm on females. Males have horns that are thicker at the ends, longer and more divergent than those of females. Giant elands scrape mineral lick sites with the help of horns to loosen soil. 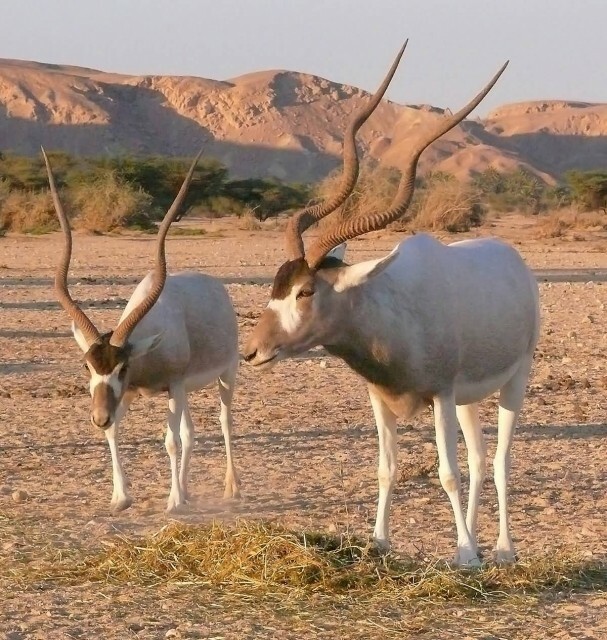 The scimitar oryx also known as the Sahara oryx, is a species of Oryx now extinct in the wild. It formerly inhabited all of North Africa. 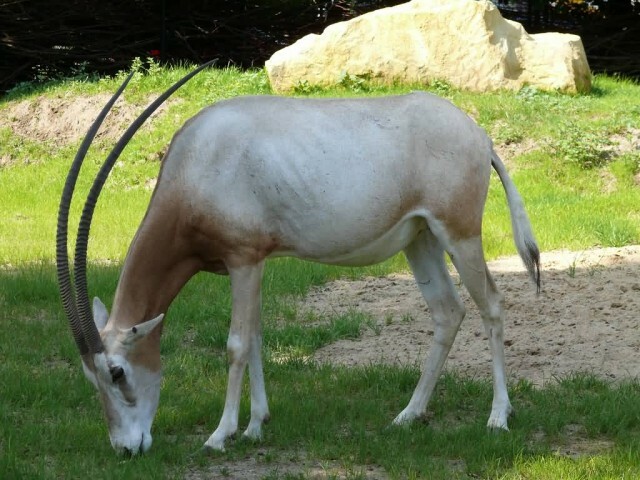 The scimitar oryx is a spiral-horned antelope. Both sexes have horns, but those of the females are more slender. The horns are long, thin and symmetrical. They curve backwards and can reach 1.0 to 1.2 m on both the males and the females. The horns are so thin that they can break easily.